Red Reddington on The Blacklist said “Fear is a liar. It activates the enemy.” Now don’t be too mad at me for quoting a fictional TV character! Besides, the quote perfectly reveals the dangers of living your life gripped by fear! 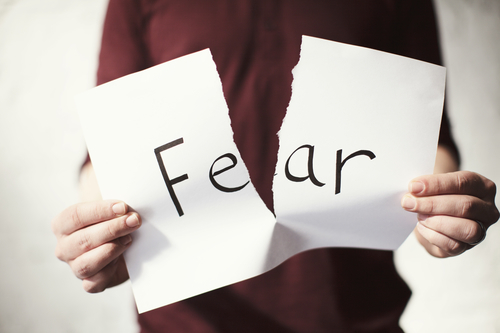 We humans are susceptible to the power of fear and its ability to cause us to overreact or be paralyzed into inaction. So, fear is an emotion we must control or it will control us. Timothy, my son, I thank God whom I serve with a clear conscience, as did my fathers, when I remember you constantly in my prayers. As I remember your tears, I long night and day to see you, that I may be filled with joy. I am reminded of your sincere faith, a faith that dwelt first in your grandmother Lois and your mother Eunice and now, I am sure, dwells in you. Hence I remind you to rekindle the gift of God that is within you through the laying on of my hands; for God did not give us a spirit of timidity but a spirit of power and love and self-control. Do not be ashamed then of testifying to our Lord, nor of me his prisoner, but share in suffering for the gospel in the power of God. St. Paul writes his spiritual son St. Timothy (as an aside to all those folks who complain about we Orthodox calling our clergy “father,” I wonder what Timothy called Paul) and gives him some fatherly advice about his work in the parish where St. Paul has sent him. He reminds Timothy first that he is serving God with a clear conscience. What a powerful statement! 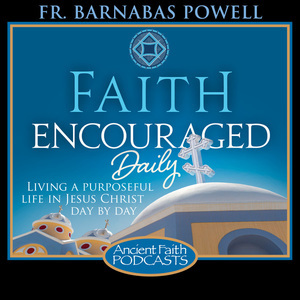 To be able to be so confident of one’s calling that Paul can say that his conscience is clear is amazing, especially given the life Paul had before Christ confronted him on the Damascus Road. Paul’s clear conscience flows from his confidence in God’s love and mercy and his life of repentance! Next St. Paul reminds this young priest that he, too, has come through hardships in his own spiritual journey. St. Paul tells Timothy that he “remembers” Timothy’s tears. We do ourselves no favors when we hide from the reality of our lives. When we try to pretend that bad things haven’t happened to us, we invite the sickness of delusion and fantasy to overtake us. When that happens, we are easy prey for fear and despair! Being honest about the good times and the bad times is all about being free from shame and living a life of repentance. And then St. Paul tells Timothy that the faithfulness Timothy saw in his mother and grandmother is a guiding example for him as well. We aren’t going to escape the crippling effects of fear and doubt by ourselves. 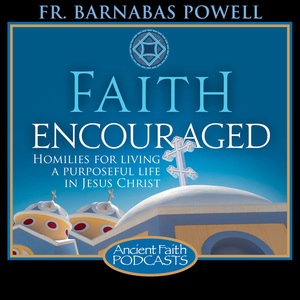 Using the wonderful and faithful example of those who came before us is absolutely essential if we, too, are going to be faithful. It is in not forgetting or ignoring the faithful examples of those before us that teach us how to remain faithful ourselves! 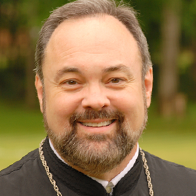 Finally, St. Timothy is ready for the natural result of serving God with a clear conscience, remembering to be honest about our lives, and embracing the good examples of faithfulness from those around us: God has not given us a spirit of fear (timidity) but of power, love, and self-control! That’s the payoff of all that previous hard spiritual labor. Our lives are flooded with the power to stay focused, love to keep our hearts pure, and self-control to exercise our proper dominion over our desires and passions! That’s the birth-right of a faithful follower of Christ! Today, does power, love, and self-control describe your life? If not, examine where your conscience may be clouded, your heart gripped by timidity and fear, and your forgetfulness of the faithful examples left for you in those who have come before you! 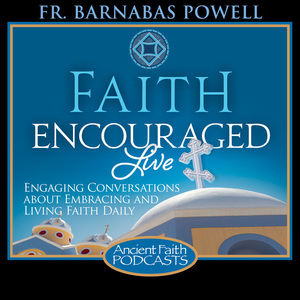 Doing this good and necessary spiritual inventory will grow your faith and make you Orthodox on Purpose! P.S. 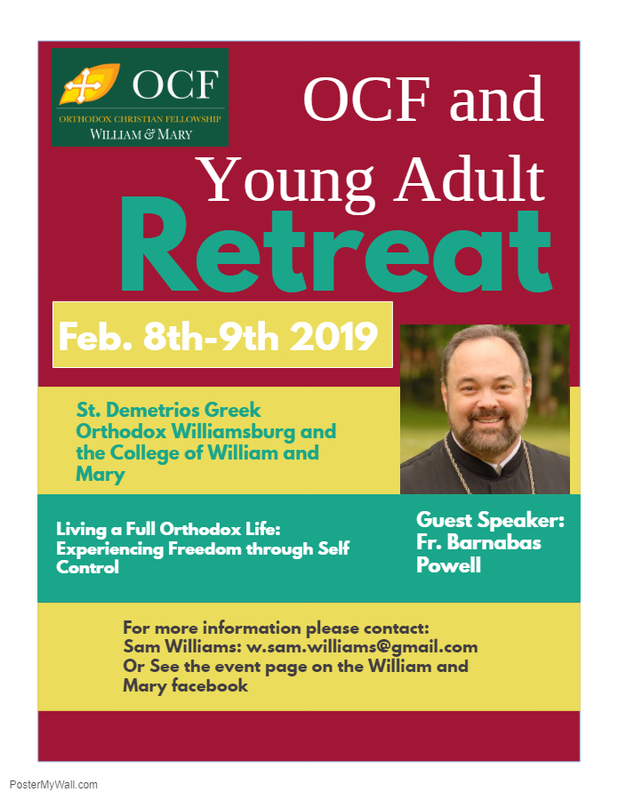 Looking forward to being at William and Mary OCF Retreat this weekend! Hope to see you there. Fear is a hand maid to the evil one. Thank you for the insight Fr. I’ll admit, I often allow the evil one to slither into my mind through fear.